The latest news in the downward spiral of Jet Airways is that they’ve given up their London Heathrow landing slots, one of the most coveted places to have slot positions. Jet Airways financial issues have led to flight cancellations, which means a permanent cessation of their operations in London. Jet Airways gives up London Heathrow Airport slots and will no longer fly to the city. Photo: Jet Airways. London Heathrow Airport is one of the busiest airports in the world. As a result, the airport organizes its traffic by allowing airlines to reserve slots to operate from there. Many other busy airports function similarly, but slots at London Heathrow have the highest demand. Slots for the airport can be acquired one of two ways. The first way is through special permission from authorities to manage the traffic flow in the best interest of the public. Airlines get awarded the slots based on operational efficiency for the airport. The second way of getting a slot at London Heathrow is by purchasing them. Airlines are allowed to buy slots for takeoff and landing. Slots at the airport can cost airlines tens of millions of dollars, the most paid being $75 million for just one slot. London is one of the major international hubs for traveling to and from Europe so maintaining a position at Heathrow Airport is essential. Jet Airways was lucky enough to have a spot at the airport, but troubles with the airline have changed their flight capabilities. Jet Airways recently announced the discontinuation of international flights, including to London. While the previous announcement seemed like a temporary solution to readjust operations, the move seems much more permanent now that they no longer have rights to operate from London Heathrow Airport. Jet Airways had three slots at London Heathrow Airport. The slots were initially bought and owned by Jet Airways, but they were eventually sold to Etihad Airways for $70 million as part of an investment agreement between the airlines. The slots were then leased back to Jet Airways. 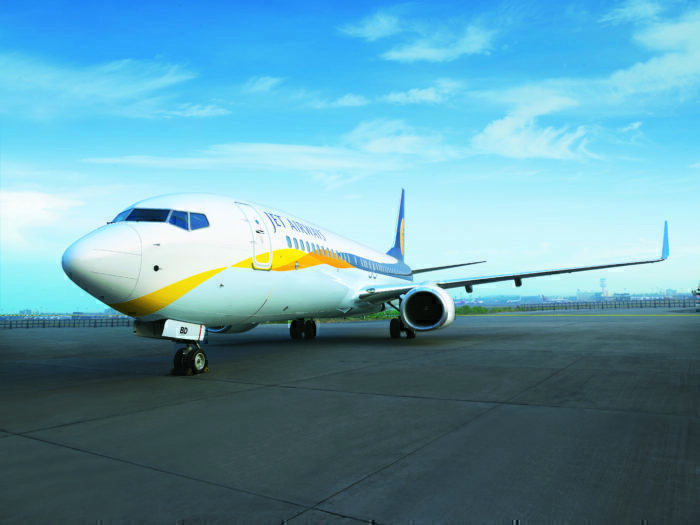 Jet Airways benefitted from the deal by allowing them to generate much-needed capital. Jet Airways has now relinquished its position in London, currently operating solely in India. Jet Airways cancelled all international flights and grounded 90% of its fleet. Photo: Jet Airways. Jet Airways has been facing hard times, so scaling back the airline operations is the only resolution if they hope to be around for much longer. The Bombay based airline has grounded 90% of its fleet, leaving it with too few aircraft in operation for the DGCA to allow them to fly internationally. Debt at Jet Airways has surpassed a billion dollars. Flights were already booked on Jet Airways for trips to London. Now that the airline is no longer flying to London Heathrow, the passengers will have to get their tickets reissued to another airline. The slots that belonged to Jet Airways transferred back to Etihad, the owner who leased the slots to the airline. Etihad currently maintains four slots at Heathrow, so the additional slots could open up potential new international flights to London or could allow Etihad to lease them to another airline. Could Jet Airways be coming to a close? And what should Etihad Airways do with the additional slots? It looks like this could be an opportunity for Jetblue to approach Etihad to lease those slots for their proposed Trans-Atlantic flights from New York and Boston.